At Angelina’s Ristorante you will experience the best in quality & value at the finest Italian restaurant in Westchester County. You’ll enjoy authentic Italian cuisine & wines from around the world. You will find that our award winning wine list compliments all aspects of our superb quality of food & each of our unique dining rooms provides their own magnificent ambiance. We have our comfortably casual café-bar, a romantic cozy side room & our bright & cheerful main dining room. 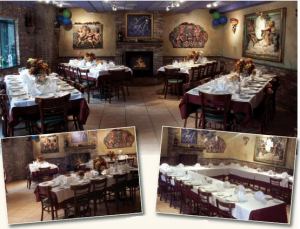 Also available is our lower level Enoteca – a private room for your party and banquet enjoyment.